转：西伯利亚发现5万年前人类骨头, 可能为西伯利亚最古老晚期智人 - 文化考古 Cultural Archaeology - 蓝海人类学在线 Ryan WEI's Forum of Anthropology - Powered by Discuz! 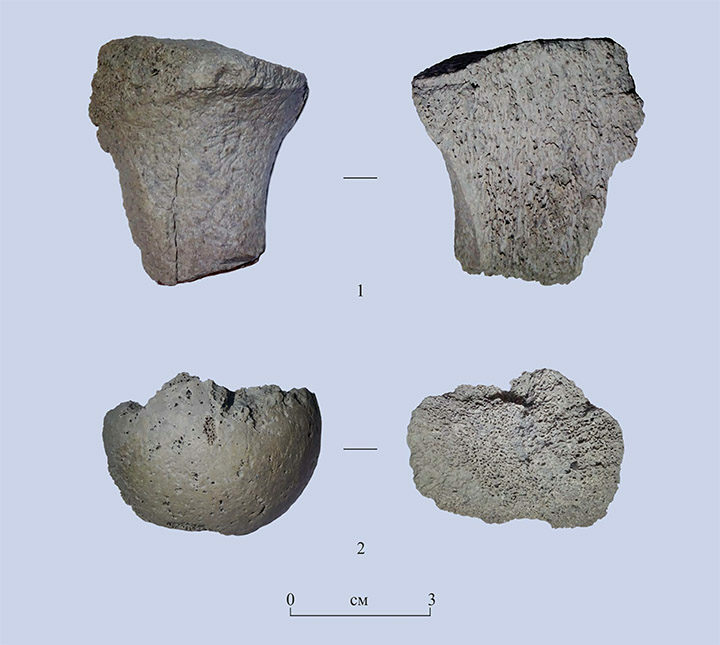 The older set of bones found on Tuyana site dated to 50,000 years ago. Finds of 'lion-hunting ancient man' excavated from site of new road new Lake Baikal now undergoing tests at Germany's Max Planck Institute. If the discovery in Buryatia is verified as being Homo sapiens, it will alter scientific thinking about the arrival of man in Siberia. 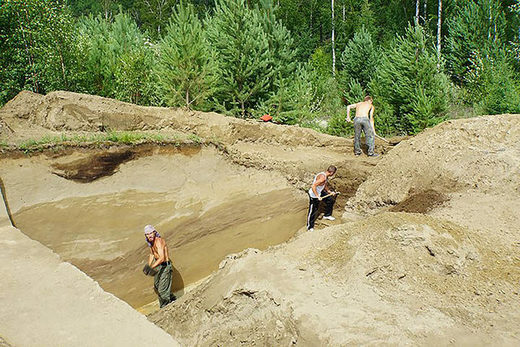 The discovery was made in the Tunkinskaya Valley by Irkutsk scientists in 2016. 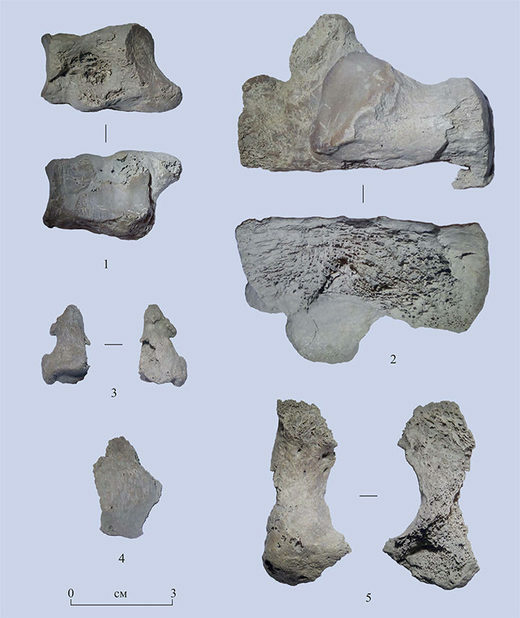 Two fragment of bones found on Area 2 of Tuyana site. Older bones date to 50,000 years ago, younger ones at the same site to around 30,000 years ago, and they were found alongside tools and animal bones indicating these ancients were proficient hunters of cave lions, bison, horses and deer. Dr Evgeniy Rogovskoi, senior researcher Institute of Archeology and Ethnography, Siberian branch of the Russian Academy of Sciences, said: 'The bones were found in 2016 during rescue archeological works near the Buryatian village of Tunka. 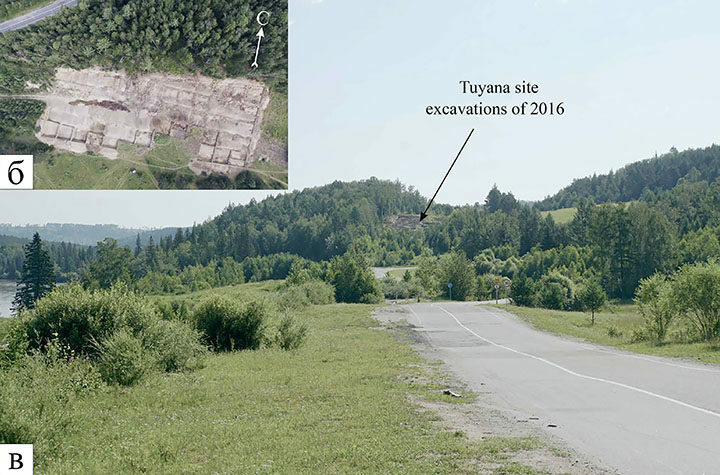 'Work on constructing a new road was about to start, so archeologists rushed here to see if they could take any material from the site. 'The bones were found within half a metre of the surface. Set of bones found on Area 1 and dated to 30,000 years old. 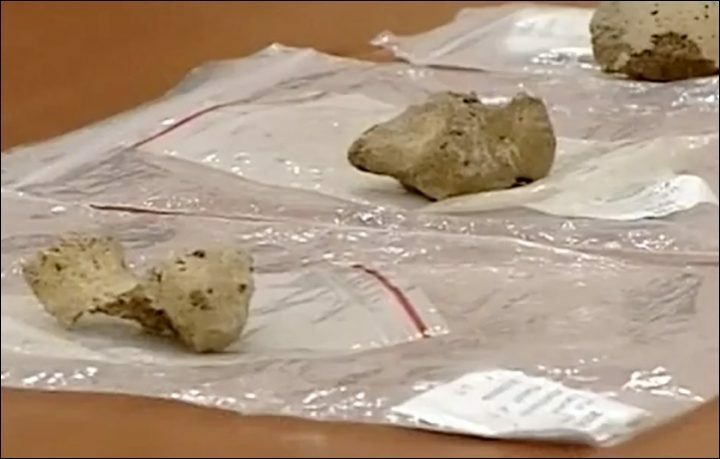 'We have introduced them to the scientific community only now, two years after the find, because we have been waiting for test results on them. The younger bones are 'modern-type' humans. 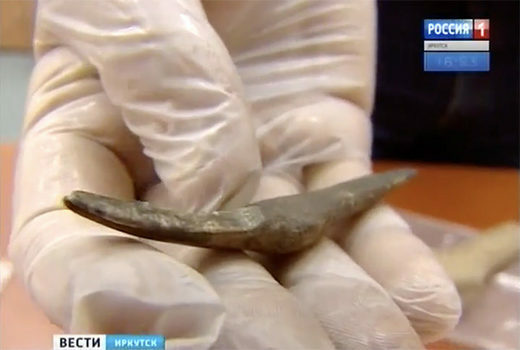 Researchers say that if they are prehistoric Home sapiens remains, these will be the oldest found in northern Eurasia. 'More ancient bones were found (here), but these were not Homo sapiens,' said Dr Rogovskoi. 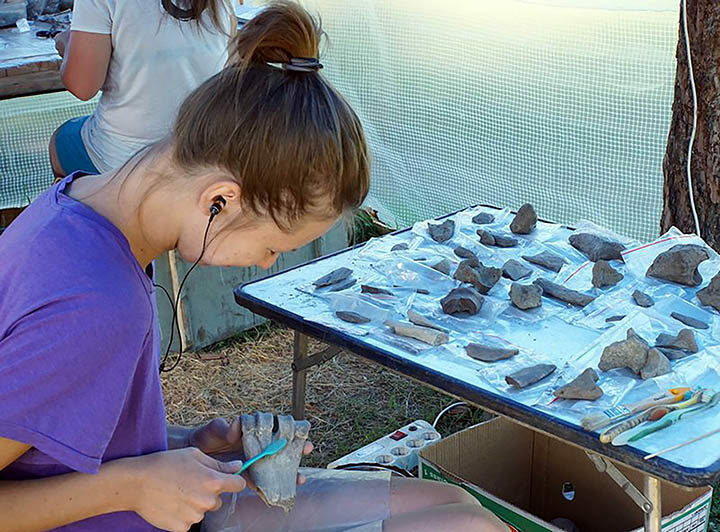 A large arsenal of bone knives was found at the site, indicating the owners must have been good hunters. Sharp tools found at the site used semi-precious topaz and rock crystal. An amulet was made of a cave lion tooth. 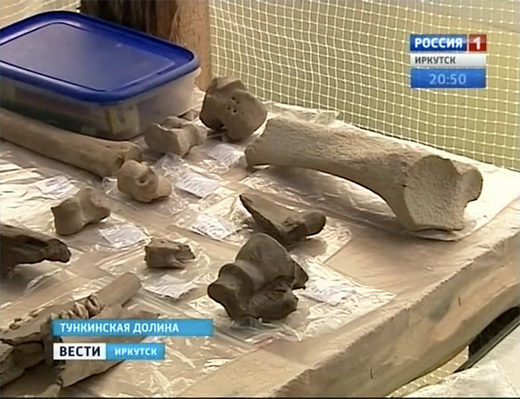 Dr Mikhail Shunkov, the institute's director, said: 'It is hard to overestimate the importance of the find. 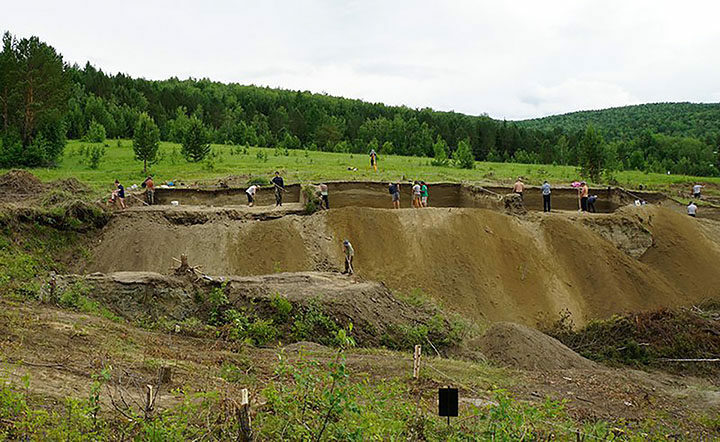 'During the last several decades, the way experts see development of human evolution in southern Siberia has been changing quite drastically. An amulet made of a cave lion tooth. Older Home Sapiens remains have been found in Morocco, dating back 300,000 years, it was announced last year. And in a cave in Israel, a jawbone is believed to be of Homo sapiens origin. It has been dated to almost 200,000 years old, twice the age of any previous discovery outside Africa where are species are believed to have originated. GMT+8, 2019-4-26 17:51 , Processed in 0.096988 second(s), 20 queries .